The recent advances in brain tumor imaging offer unique anatomical as well as pathophysiological information that provides new insights on brain tumors, directed at facilitating therapeutic decisions and providing information regarding prognosis. This information is presently utilized in clinical practice for initial diagnosis and noninvasive, preoperative grading of tumors, biopsy planning, surgery, and radiation portal planning, as well as, prognostication. The newer advances described in this review include magnetic resonance (MR) diffusion and diffusion tensor imaging with tractography, perfusion imaging, MR spectroscopy, and functional imaging, using the blood oxygenation level dependent (BOLD) technique. Diffusion tensor MR imaging is the only noninvasive in vivo method for mapping white matter fiber tract trajectories in the human brain. In the current clinical practice, one of the most important indications of diffusion tensor imaging (DTI) is to study the relation of a tumor to the adjacent white matter tracts. Perfusion imaging with computed tomography (CT) and magnetic resonance imaging (MRI) is an exciting new radiological technique for noninvasive evaluation of cerebral hemodynamics, in certain definite clinical settings. 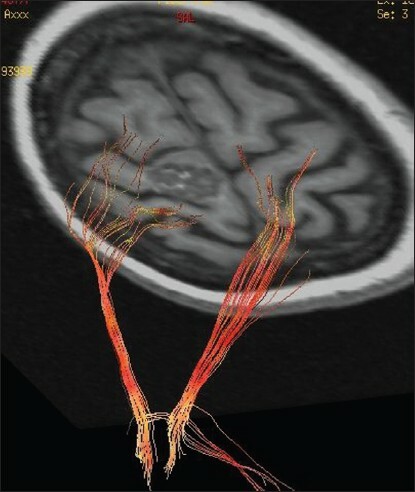 Cerebral perfusion imaging describes the passage of blood through the brain's vascular network. 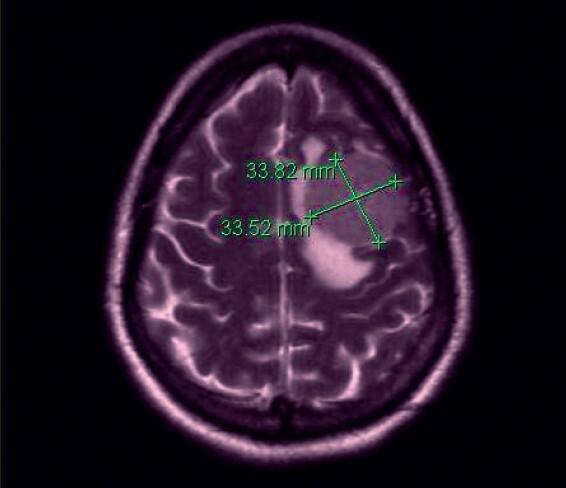 Perfusion imaging, especially with MRI has become an integral component of the complete radiological assessment of brain tumors. MR Spectroscopy (MSR) is the only noninvasive technique capable of measuring chemicals within the body. MRS distinguishes various metabolites on the basis of their slightly different chemical shifts or resonance frequencies. Functional MRI refers to the demonstration of brain function with neuroanatomic localization on a real-time basis. In patient care, functional MR imaging is primarily used in the preoperative evaluation of the relationship of a brain tumor with an eloquent cortex. The next decade will witness further sophistication of these techniques, with data available from larger studies. It is expected that imaging will continue to provide new and unique insights in neuro-oncology, which should hopefully contribute to the better management of patients with brain tumors. Primary malignant brain tumors account for only 2% of all adult cancers but they cause a disproportionately high cancer-related disability and death. Survival of malignant glioma patients has changed only modestly over the past three decades despite the emergence of new treatment strategies for these tumors. 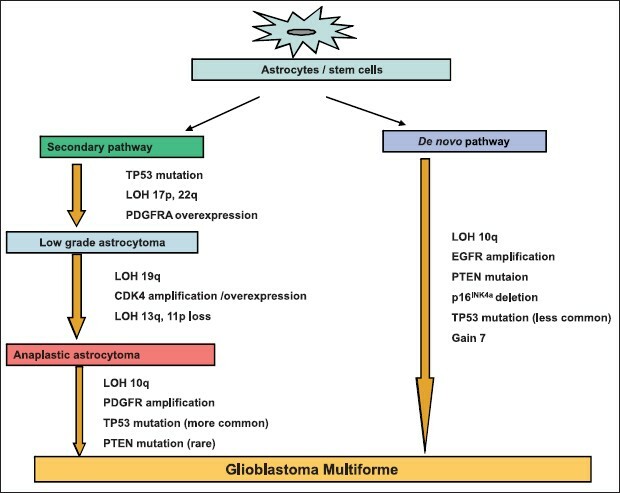 In this review, we describe the standard treatment modalities for malignant glioma, which include surgery, radiation therapy and chemotherapy, as well as the status of novel therapies that have been developed to target various aspects of glioma cell biology. We also address this issue of drug delivery as a factor limiting the efficacy of systemic administration of therapeutics and attempts to overcome this barrier. Further progress towards a cure for malignant gliomas will require a greater understanding of the underlying mechanisms driving the growth, and resistance to therapy, of these challenging tumors. The incidence of gliomas is increasing worldwide, including India. Of the 18,820 new cases of primary central nervous system (CNS) tumors diagnosed annually in the United States, gliomas account for over 60% with 30-40% of them being glioblastoma multiforme (GBM), 10% being anaplastic astrocytoma (AA), and 10% being low grade gliomas (LGGs). This is in contrast to one study from West Bengal, India, in which only 7.9% of the brain tumors were GBMs, while 46.8% were astrocytomas. Of all adult primary CNS tumors, GBM is the most common and the most malignant with about 7,000 to 8,000 new cases annually in the United States. Given poor outcomes, a number of treatment approaches have been investigated. Common to these approaches is the use of adjuvant radiation therapy, even as surgery alone, with or without chemotherapy, may be the mainstay for some lower grade and low-risk gliomas. Today, treatment typically involves external beam radiation, with concurrent and adjuvant chemotherapy for more aggressive histologies. Although gliomas are relatively uncommon, active research is ongoing. Results of landmark trials along with some of the recently published trials are presented. These trials and management strategies as well as evolving concepts are found by reviewing over 200 articles in the National Library Medical (NLM) database, PubMed, more than 60 of which are refrenced. Specifically, the database is searched using the following keywords, with various combinations: glioma, low-grade, anaplastic, astrocytoma, oligodendroglioma, oligoastrocytoma, glioblastoma multiforme, chemotherapy, radiation, new concepts, phase III, MGMT, CDX-110 (Celldex), temozolomide, 1p/19q deletion, and bevacizumab. In recent years, there has been a marked improvement in our understanding of molecular genetics of gliomas. These advancements offer hope for development of tailored therapies targeting a tumor's unique molecular profile, and may also translate into improved classification and identification of newer prognostic markers. This review focuses on the neuropathological features of different types of glial neoplasms according to the World Health Organization classification, and the recent advances in their molecular biology with emphasis on the genetic mechanisms underlying tumor progression, diagnostic and prognostic markers and potential therapeutic targets. The role of surgery in the management of human gliomas has been controversial. The results from numerous neurosurgical series are inconsistent. The current adjuvant therapies have facilitated treatment of patients, and have rendered neurosurgical removal without morbidity or mortality more commonplace than ever before. Here, we investigated the role of surgery in the management of adults with low- and high-grade gliomas. Even though there is substantial evidence which claims that surgery per se has a role to play in extending patient survival, there is a paucity of randomized clinical trials on this subject, and little in the way of Class II data to support these claims. However, this should not divert patients away from surgery, because there may be additional benefits from a concerted effort to remove a tumor completely. At the present time, it seems best that clinicians continue to individualize patient treatment based on a myriad of factors that relate to the patient, the patient's tumor, and the known biology of the disease. Central nervous system (CNS) are rare neoplasms with considerable heterogeneity and variation. The most common primary lesions of CNS are gliomas. A majority of the data about the demography and management of gliomas has emerged from the west. However, there may be considerable variation in the presentation, behavior, and response to treatment between patients in the western world and the Asian population. 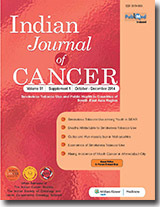 This article discusses gliomas with special reference to data from oncology centers in India. Background: The incidence of breast cancer is on the rise in India, breast cancer is the second most common malignancy in Indian women. Aim: The aim of this study was to find out the association of various risk factors with breast cancer among women in Delhi. Settings and Design: This was a case-control study in Lok Nayak Hospital, Delhi. Methods and Material: 332 women were studied. Subjects were women with breast cancer (N = 115) and age matched Control subjects (N-217) without breast cancer, attending Lok Nayak Hospital during 2006. Subjects were interviewed using a pretested questionnaire. The risk factors studied were: age, parity, socioeconomic status, marital status, breast feeding, menarche, menopause, family history. Statistical Analysis: Data was expressed in proportion. Results and Conclusions: Age of the patient ranged from 25 to 80 years. In this study, 69 (60%) cases and 127 (58.5%) controls were illiterate, the mean duration sum of total breast feeding for all children was 6.58 years in cases and 7.4 years in controls (OR = 1.91; 95% CI, 1.17 - 3.13) (P < 0.006). In the present study 52.9% of the cases and 47.9% of controls had attained menopause before the age of 45 years, and a higher number of controls were living with spouses than cases (P < 0.0001). A larger number of controls (150, 69.1%) were living in urban areas than cases (65, 56.5%) (P<0.05). There was a significant difference between breast cancer cases and controls in relation to place of residence, occupation, marital status, body mass index and breast feeding. Background: The prognostic significance of the primary tumor site in breast cancers is not established with only a few studies having evaluated the issue. 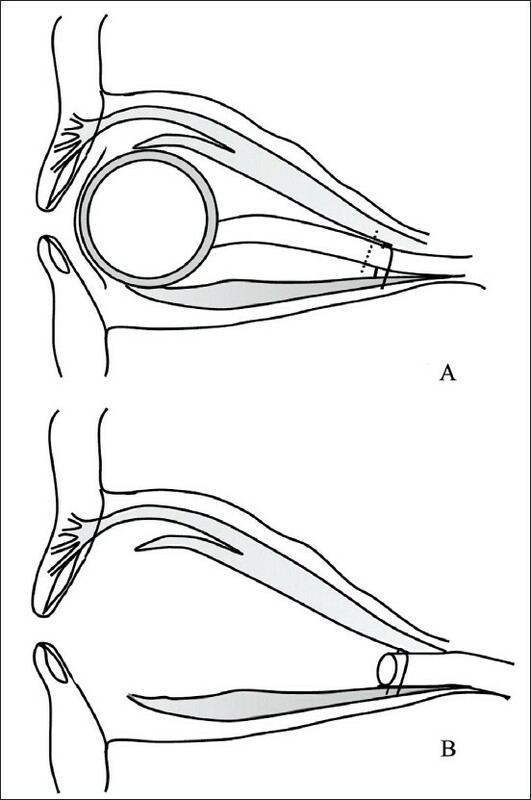 Materials and Methods: The relevance of a primary tumor site with respect to systemic disease relapse was evaluated in 187 patients with breast cancer treated with primary surgery and adjuvant chemotherapy, in whom the location of primary tumor was classifiable in any one of the three sites, namely: outer, periareolar, and inner, quadrants. Data was obtained from prospectively maintained records of breast cancer patients treated at a single surgical unit in a tertiary care center. Results: The three groups were comparable with regard to demographic, pathological tumor, and treatment characteristics. In the multivariate analysis, patients with inner and periareolar quadrant tumors had a higher hazard for systemic disease relapse, (2.53, 95% CI: 1.18-5.42; P = 0.02, and 2.73, 95% CI: 1.04-7.14; P = 0.04, respectively) as compared to outer quadrant tumors. The projected five-year survival estimates in Kaplan Meier were 87%, 61%, and 69%, respectively, for outer, periareolar, and inner quadrant. 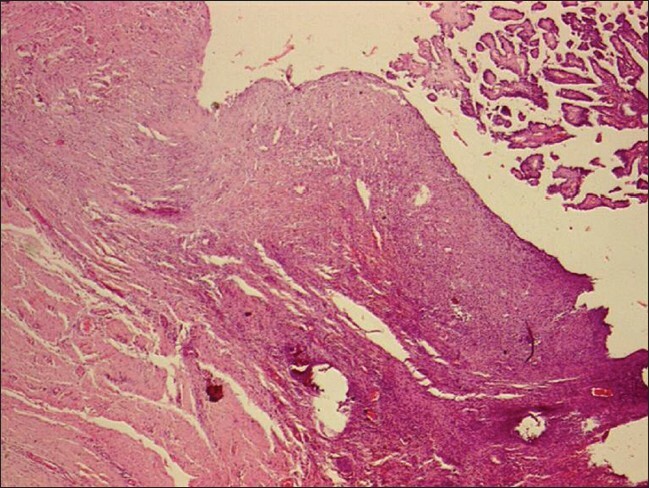 On further substratification the difference was particularly noted in high risk inner quadrant tumors: age < 45, premenopausal patients, tumor size >2 cms, positive nodes and intermediate or high grade histology, as also in patients treated with breast conservation and CMF, Cyclophosphamide, Methorexate, 5 Fluorouracil chemotherapy. Conclusion: The location of the primary tumor influences survival in breast cancer with inferior outcome for tumors in inner and periareolar quadrants, especially in high risk groups and those treated with conservative approaches. The role of aggressive therapies merits investigation in these patients. Background: Under normal circumstances, there is a steady balance between the production of oxygen derived free radicals and their destruction by the cellular antioxidant system inside the human body. However, any imbalance between the levels of these oxidants and antioxidants might cause DNA damage and may lead to cancer development. The aim of this study was to evaluate the level of antioxidants and free radicals in blood and tissue of cancer patients and compare these levels at different TNM stages to derive the possible role of free radicals and antioxidant enzymes in the etiology of breast cancer. Materials and Methods: This study includes 30 patients suffering from cancer breast and 20 patients as controls who had benign breast diseases. Circulating lipid peroxide (Malonyldialdehyde [MDA]) levels and activities of the defensive enzymes (Superoxide Dismutase [SOD] and Catalase [CAT]) were estimated in the blood and breast tissue of these patients. Results: Increased levels of free radicals and low levels of antioxidants were observed in malignant tissue. An elevated lipid peroxide concentration was found in the tissue of all the cancer breast patients as evidenced by an increase in the mean MDA level seen with increasing TNM stage of carcinoma breast. Levels of antioxidants SOD and CAT were decreased in cancer patients. Conclusion: The results of our study suggest that free radical activity is enhanced in cancer breast patients while the antioxidant defense mechanism is weakened. This activity is enhanced with the increasing severity of cancer as depicted in different TNM stages of breast cancer. Background: Tamoxifen is being used in patients with estrogen receptor positive breast cancer as an adjuvant or palliative hormonal therapy. w0 estern studies have found a 30% incidence of gallstones in patients who are taking Tamoxifen and they have proved a significant association between the two. Objectives : The objective of the study was to find out the association of Tamoxifen use and gallstone formation in postmenopausal breast cancer patients in a South Indian population. Methods: Ninety patients who had undergone surgery for invasive breast cancer in our institute, and were receiving adjuvant Tamoxifen, were recruited for the study. 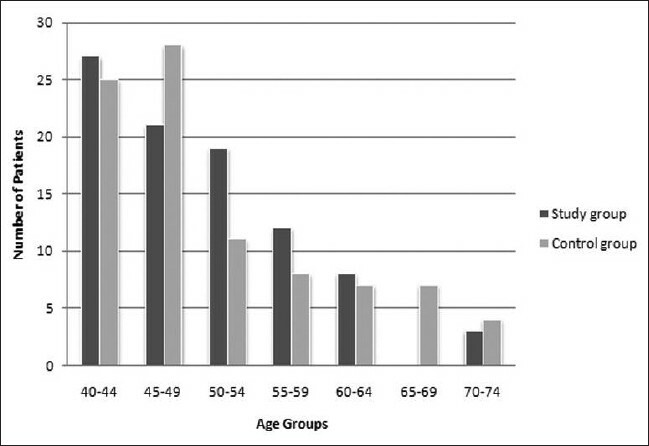 An equal number of age-matched postmenopausal women were taken as controls. All of them underwent an abdominal ultrasound screening test for gallstones. Presence or absence of gallstones was noted down from their ultrasound scan reports. Pretreatment status of the gall bladder was assessed from the preoperative scan reports. Results: An odds ratio of 1 was derived when the case group was compared with the control group. Conclusions: In our study we could not establish that an association existed between Tamoxifen use and gallstone formation in postmenopausal South Indian women. Purpose: Role of risk factors in cervical carcinogenesis and strategies for control of the disease have been assessed from the accumulated cytological data, derived from 35 years of hospital-based screening in Lucknow, North India. Materials and Methods: A total of 36,484 women have been cytologically screened during a span of 35 years (April 1971 - June 2005) in the Gynaecology out patient department (OPD) of Queen Mary's Hospital. Results: The frequency of Squamous Intraepithelial Lesion (SIL) and carcinoma was found to be 7.2% and 0.6%, respectively, in the present study. The study revealed high age and parity as a predominant factor in cervical carcinogenesis, while viral sexually transmitted disease (STDs) -human papilloma virus (HPV) and Herpes simplex virus (HSV) were also largely associated with SIL cases. The study emphasized great value of clinically downstaging the cervical cancer by detecting cervical cancer in the early stage. The study also revealed a significant difference in the frequency of SIL in symptomatic and asymptomatic women. Conclusion: Based on the analyzed data, it was felt that single lifetime screening, which appears to be the most feasible and affordable mode for control of carcinoma cervix in developing countries like India, should be carried out in all women of high parity irrespective of age (with three or more children) and in older women above the age of 40 years irrespective of parity. Background : We present a clinico-hematological profile and treatment outcome of Biphenotypic Acute Leukemia (BAL). Aim : Study incidence and subtypes of BAL, correlate with age, morphology, and cytogenetic findings and correlate the clinico-hematological data with the treatment response. St Jude's and the EGIL's criteria have been compared for their diagnostic and clinical relevance. 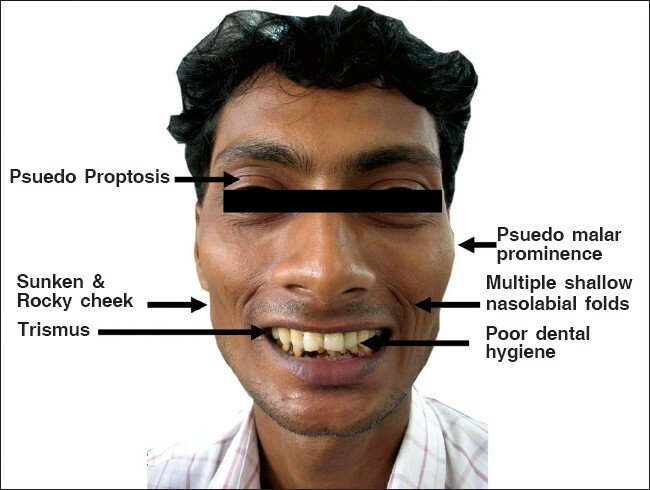 Material and Methods : Diagnosis was based on WHO classification, including clinical details, morphology, cytochemistry, immunophenotyping, and molecular genetics. We included those cases, which fulfilled the European Group for the Immunological Characterization of Acute Leukemia's (EGIL's) scoring system criteria for the diagnosis of BAL, as per recommendation of the WHO classification. Results : There were 32 patients diagnosed with BAL, based on EGIL's criteria. Incidence of BAL was 1.2%. B-Myeloid (14 cases) followed by T-Myeloid BAL (13 cases) were the commonest subtypes. 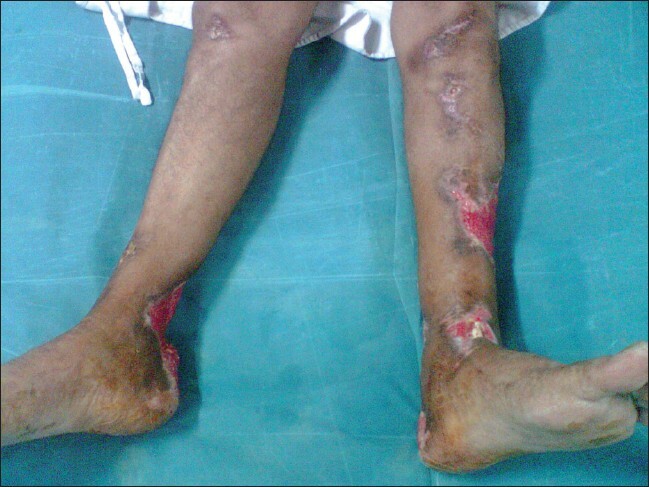 Polymorphous population of blasts (16 cases) was commonly associated with T-Myeloid BAL (10 cases). 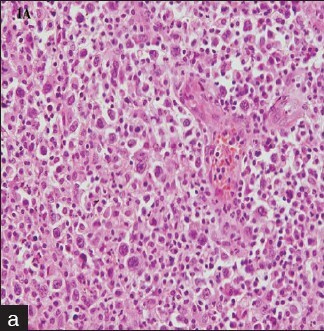 BCR ABL fusion positivity was a common cytogenetic abnormality (seven cases). Fifteen patients received chemotherapy; eight achieved complete remission (CR) at the end of the induction period. Conclusions : Pediatric BAL and T-B lymphoid BAL have a better prognosis. A comprehensive panel of reagents is required, including cytoplasmic markers; to diagnose BAL. St Jude's criteria is a simple, easy, and cost-effective method to diagnose BAL. The outcome-related prognostic factors include age, HLA-DR, CD34 negativity, and subtype of BAL. BCR-ABL expression is an important prognostic factor, as these cases will be labeled as Chronic myeloid leukemia (CML) in blast crisis with biphenotypic expression and treated accordingly.